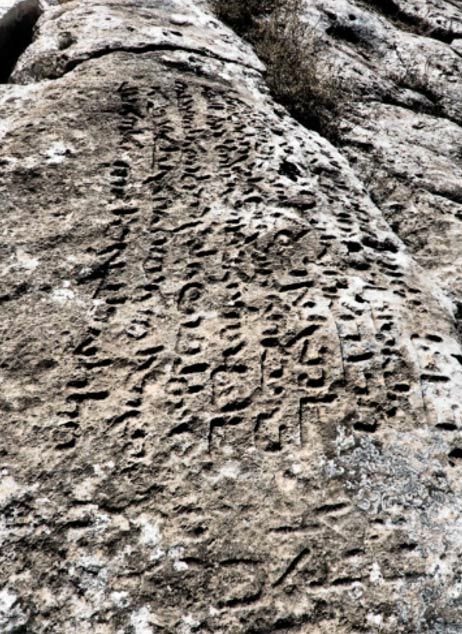 Ancient Arab accounts tell of a mysterious temple in eastern Anatolia dedicated to the planets. The ruins surrounding the modern village of Sogmatar used to be an important city during the Hellenistic Period. It was a center for the worship of the moon and the planets. The site contains an impressive open-air temple which is believed to have been dedicated to the planets, verifying this ancient account. 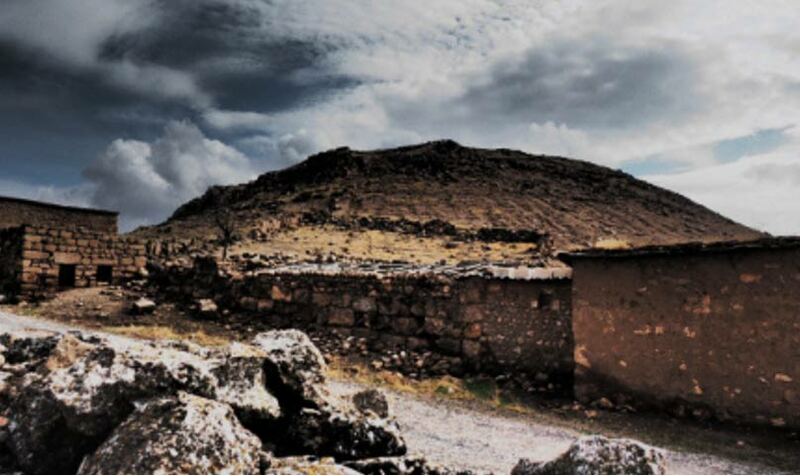 Sogmatar, about 57 km (35.41 miles) from the ancient city of Harran, flourished as a cultic center and holy city during the time of the Abgar dynasty of Edessa, from the 2nd century BC to the 3rd century AD. Among the ruins in Sogmatar are the remains of walls and turrets on the main hill that date to the 2nd century AD. A sanctuary to the planets is also found on the hill. Among the gods worshiped in the city are the principle deities from the surrounding cultures such as Sin, the Mesopotamian moon god whose main site of veneration was Harran. The main temple, which still stands today, was an open-air temple where sacrifices were held. The temple was built on a hill which is surrounded by the ruins of seven large buildings which may have had religious significance. If these seven structures are associated with the temple, they may represent the five planets visible in antiquity and the sun and moon. It is not clear if there are any astronomical alignments associated with the hill or the seven structures surrounding it. The nearby subterranean temple which contains definite references to the planets and the moon god, however, makes it probable that this sacred hill involved worship of the celestial bodies as well. This makes the site potentially important for the study of ancient astral religion. Interestingly, the site was also important for ancestor worship - which seems an odd combination if paired with worship of the moon and planets. The tombs found on the side of the hill contain artifacts and human remains that pre-date the Hellenistic Period. The contents of the tombs are associated with honoring ancestors. Since the remains in the tombs date to the Bronze Age, it is possible that the ancestor worship pre-dates the religious focus on the celestial bodies at Sogmatar which did not begin until the Hellenistic Period after the 3rd century B.C. On the other hand, because of the diversity of religious practices in Hellenistic cities, it is possible that ancestor worship and astral religion were both prominent in the city simultaneously. On the walls of the subterranean temple are reliefs with Syriac writing inscribed on them. The reliefs also contain human figures which are believed to be personifications of the planetary bodies. Archaeologists believe that the temple was most likely dedicated to the moon god Sin. It is the figures in this temple related to the planets which make it probable that the open-air temple was also related to worship of the celestial bodies. It is believed the main influences on the site come from Harran because of the appearance of Sin, the moon god. The moon god was very important in the Mesopotamian pantheon. In some texts he is referred to as the father of the gods. The moon god was associated with cattle, fertility, and divination. Because the Moon lights up the night, the lunar deity was also believed to be able to reveal truth and see through lies and deception, similar to the sun god Shamash. Sin had two main cultic sites in Mesopotamia. One was in Harran in northern Mesopotamia and the other was in Ur to the south. In late antiquity, Edessa became a major Christian city as well as the legendary home city of the patriarch Abraham. Although Judaism is not represented in Sogmatar, Edessa does fit the pattern of the region surrounding Sogmatar having many important sacred sites, whether Pagan, Jewish, or Christian. Sogmatar was a religious melting pot where traditions from the surrounding region came together at the sacred place. It is interesting that Gobekli Tepe, the oldest site believed to be a dedicated cult center, is not too far from Sogmatar. It is only 58 km (36.03 miles) north of Harran, about the same distance that Sogmatar is from the city and in about the same direction. Edessa and Harran, two nearby cities, were also known for being important religious sites. Harran was sacred to Sin and Edessa is religiously significant in being the birth place of Abraham in Christian and Islamic tradition. Does Oldest Written Text Reveal a 30,000 year old Cult that Worshipped the Prediction of Eclipses? Since the rise of organized religious practices, the region surrounding Sogmatar has been known for its cultic sites. Sogmatar was a center for ancestor worship in the Bronze Age, and became a center for worship of the planets, as evidenced by the open air and subterranean temples in the city, during the Hellenistic Period. Sogmatar could be considered a perennial holy city in some ways. Archaeology of Sound", Istanbul (Turkey), Oct . 2015.
http://www.iranicaonline.org/articles/abgar-dynasty-of-edessa-2nd-century-bc-to-3rd-century-ad (accessed on 25 January 2014). This site is in historic Armenia. Why is there no reference to that fact?